Action For Autism’s Parent Child Training Programme (PCTP) runs three times a year, each session spanning a period of approximately nine to twelve weeks. *The first session starts in January, the second session in July and third session in September or October of each year. *A group of 10 to 15 parents (mother/ father primarily responsible for the child’s care) train together (with their children) throughout the duration of the programme under the guidance of experienced, trained therapists. *The focus of the programme is to maximize the quality of time that the parent spends with the child by teaching focused one-on-one skills that are tailored individually to each child and that take into account the child's strengths, emerging skills and weakest skill areas. One-on-one intervention, in a supportive, positive environment, helps a child with autism to overcome much of the severity of the disorder. 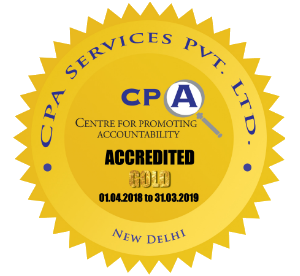 *As is the case with all the services provided at AFA, the PCTP, too incorporates elements of internationally recognised ‘best practices’, including Structured Teaching, Applied Behavioural Analysis and Verbal Behavioural Analysis. *The programme also prepares children to join schools and function appropriately in a group setting, through activities conducted with all parents and children together. *During the PCTP, we give the parents information on appropriate ways of communicating with the child, and how to give him/her methods to communicate better and more appropriately. *The group work helps in building up joint attention, waiting, turn taking, following instructions from different people, and being able to comply in a group. *We explain how predictability can be developed in a child’s life so that anxiety levels can come down. *Cognitive skills are also introduced, keeping functionality in mind. *We also provide inputs on how to develop independent living skills in the child. *A variety of other relevant topics are also dealt with in the course of the daily feedback and discussion sessions. Parents are given extensive feedback and join a discussion group where they can compare perspectives and forge links with parents experiencing similar difficulties. *The main goal of the PCTP is parent empowerment. At the PCTP, we strive to help the parent understand the child, his/her autism, the unique learning style of children with autism and the “whys” of the way a child may behave or react in different situations. Thus empowering the parent to manage challenging situations and work more effectively with the child from a place of acceptance and understanding. * Given the fact that there is an acute shortage of educators trained specifically to work with children with autism, the PCTP also aims to fill this gap in service provision for families with children with ASD. It can work to link a parent who has undergone the training with other parents in her/his native area, so that they can become a source of information and support, thereby spreading the impact of the program through a ripple effect. * The PCTP is also available to grandparents or any other family members who may be the child’s primary caregiver or are interacting with the child on a regular basis.